Would you believe someone from Madrid if they told you they were going to spend the day at the beach and come back for dinner? The truth is that they would not be lying! In Madrid, there are, in fact, several river beaches. When the inhabitants of the region want to rest, they usually “go to the mountains“, and if it is hot, they choose to splash in one of these natural environments where swimming is allowed. Some of these locations even have beach bars. If you do not know them yet, these are the four beaches in Madrid where you can swim safely. 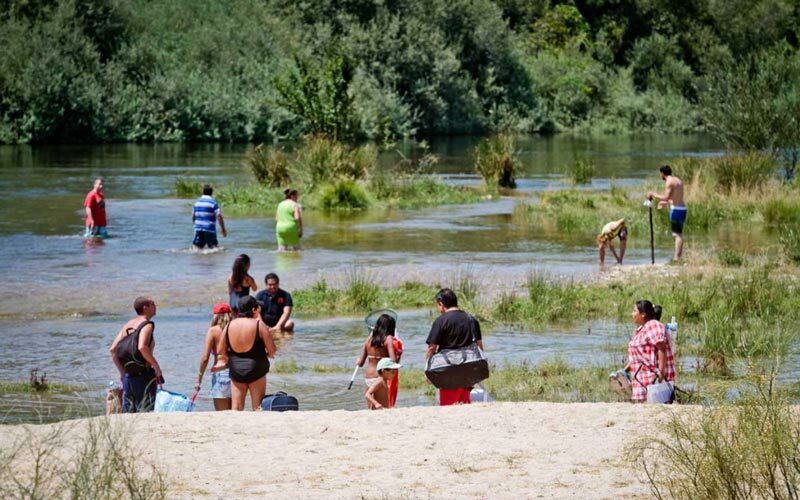 Located in the municipality of Aldea del Fresno and surrounded by a forest, this fluvial beach is notable for its shallowness, making it an ideal place to make family plans, especially if you are accompanied by small children (and even dogs, which are allowed if they are tied). Since it is the place where the Alberche River and its tributary (the Perales) converge, it is perfect for a refreshing swim. It is not covered, and the area is meant for spending the day there, since it has kiosks, picnic areas in the shade, showers and water fountains for drinking. Next to the shore you will find a strip of sand where you can lie down and enjoy nature. This is a small summer oasis 50 miles from the capital. This area of the San Juan Swamp near San Martín de Valdeiglesias is known by all as the “beach of Madrid” and it is the only sandy spot on this list where motor water activities are allowed. In fact, this beach is the first beach in the community to obtain the blue flag. In its 14 kilometers of freshwater beaches, you will find several beach bars, as well as boat rental companies. Of the beaches in Madrid, it is certainly one of the most popular. 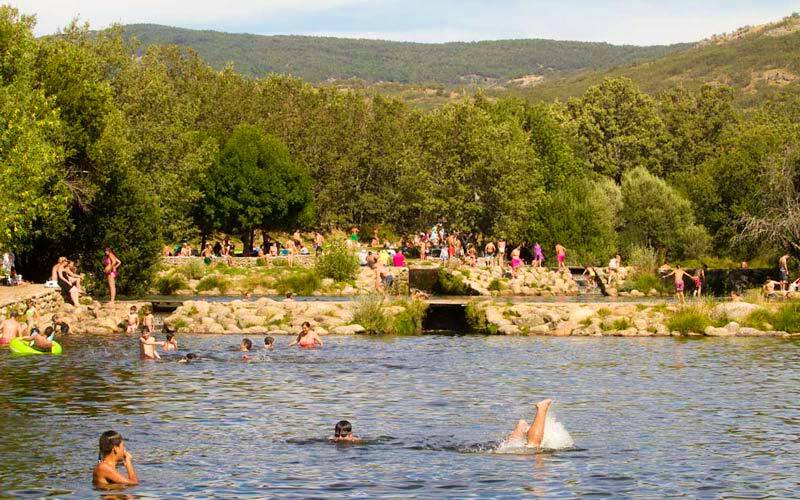 These three natural pools of the Lozoya River, formed as they pass through Rascafría and located in the Sierra de Guadarrama, are accomodating destinations for visitors who seek the freshness of their waters when the heat is suffocating. 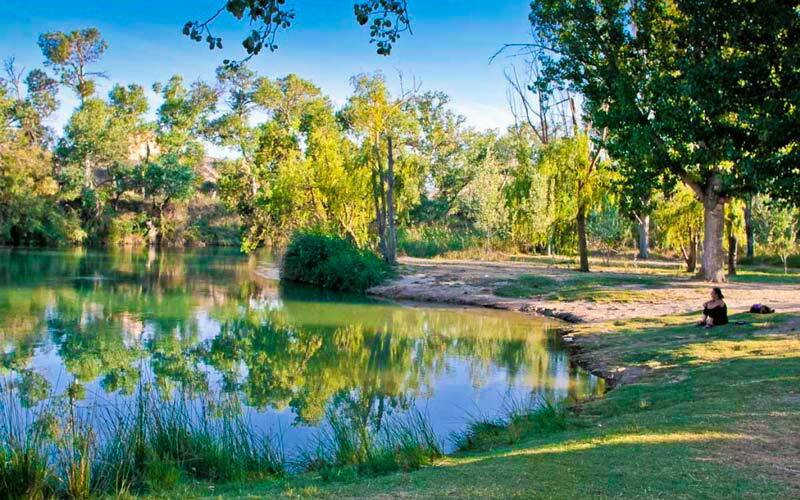 The area has an information point, toilets, a picnic area, a beach bar, and a lawn where you can relax with comfort. 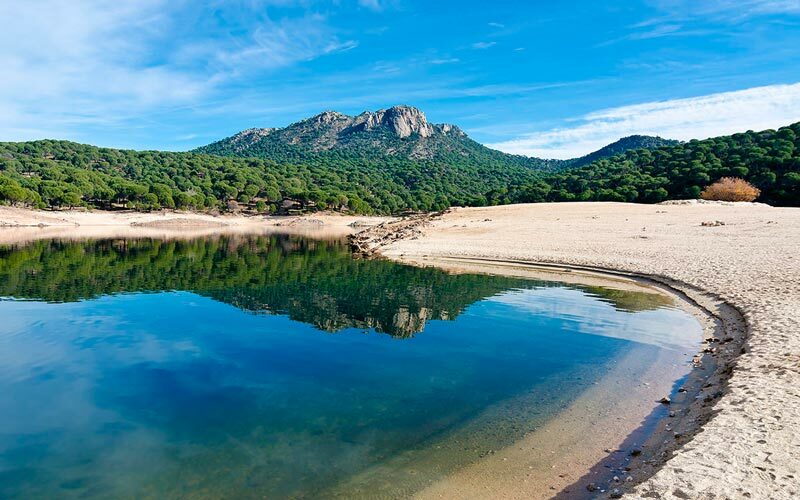 Las Presillas is one of the beaches in Madrid with better views, since its beautiful meadows can be seen at the Pico de Peñalara (the peak of Peñalara). If you choose to spend the day at this beach, keep in mind that the entrance is free for people, but that vehicles required a paid amount to be able to access it. This fluvial beach on the banks of the Tagus River in the town of Estremera, is an ideal place to spend a quiet Saturday. Although it is one of the most unknown beaches in Madrid and perhaps less cared for, it is a perfectly suitable place to take a dip with family, friends or your pet. There is also a snack bar and a picnic area.